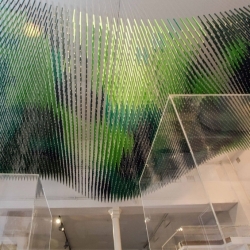 'Scenography' with a camo ceiling made ​​of 6000 colored pencils by French studio Folsom for the S&AA exhibition in Paris, France. 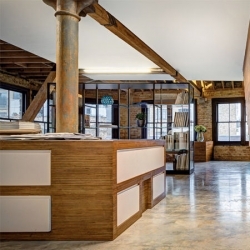 DOS Architects' design of the offices for MAD Agency London in a former industrial building near Old Street. 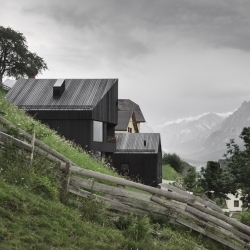 Feast your eyes on this sustainable beauty covered with knotty wood planks, clinging to the hillside of Enneberg, Bozen, Italy. 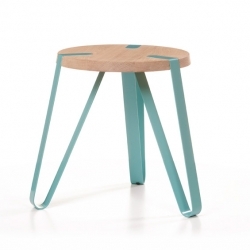 'Level' tables by Dutch designer Erik Remmers for Odesi. Nervous System launches Kinematics, their newest series of customizable 3D-printed jewelry that can be folded into different shapes. Be sure to play with the customization app and design your own. 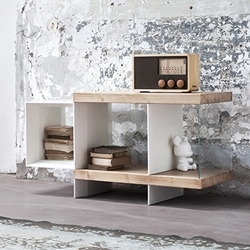 'Flap' storage table, coffee table, box for books and magazines. 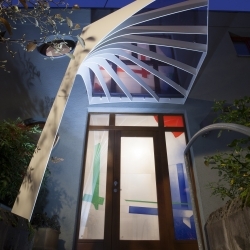 Chromatic contrast, differences between materials, versatile, innovative decor. 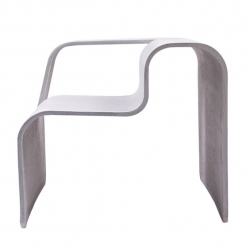 'Concrete outdoor chair' by designer Tina Rugelj for Esal. 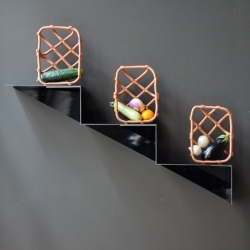 'Up' little shelf by French designer François Mangeol. 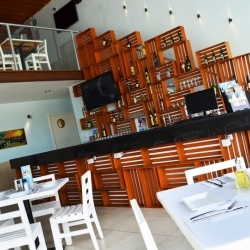 Muelle Kay is a new seafood restaurant, located in the city of Merida, Yucatan in southeastern Mexico. 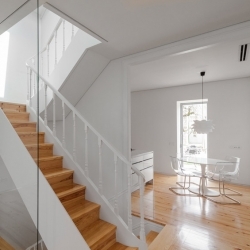 'Three Cups Chalet' minimalist loft by Portuguese architect Tiago Do Vale in Brag, Portugal. Jose Davila's There But Not. 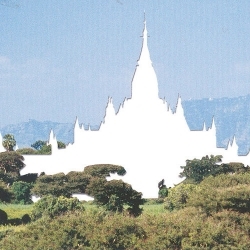 The artist cut out 90 of the world's most famous and beloved buildings and structures, from ancient marvels to contemporary gems, leaving intriguing white spaces to explore and recognize. 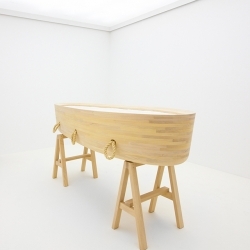 Acclaimed Brazilian architect and designer Isay Weinfeld opened A/Z, his first ever US exhibit at Espasso in New York City. 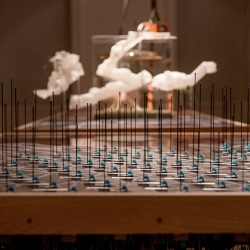 Car Designers Williams F1 design create a concept model of the Flywheel Reservoir, a proposed reserve-energy park for the coast of Kent. 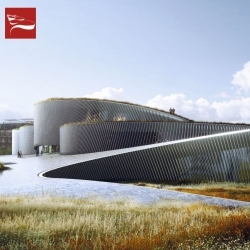 BIG wins the competition to design the new Cité du Corps Humain (The Museum of the Human Body) in Montpellier. 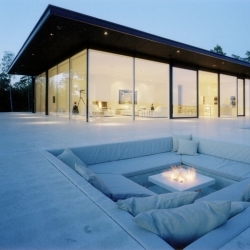 The Överby House near Stockholm by John Robert Nilsson. 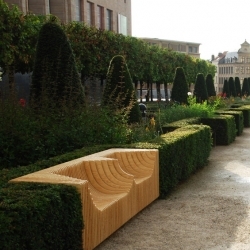 'Monolit' outdoor bench by Polish designer Pawel Grobelny in Albertine's garden in Brussel, Belgium. 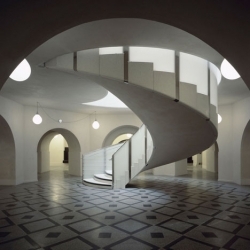 A look at the newly rennovated Tate Britain from architects Caruso St John. 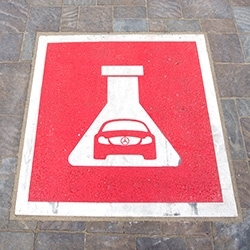 FEATUREDA peek inside the world of Mercedes-Benz R&D's new HQ in Sunnyvale, CA. Fun design details, 114 Nest thermostats, Nook clocks in 3D printed frames, and a peek at where they are going with Pebble, Google Glass, and more. 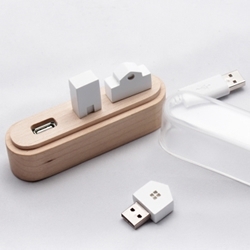 Maison, the amazing USB hub created by South Korean designer Su hyun Yoo. Yoshi Bar by Naoya Matsumoto Design, Japan. 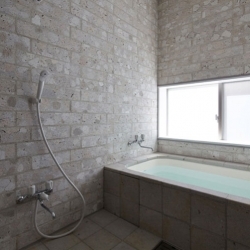 The Shirasu house by Aray Architecture in south-west Japan using bricks that incorporate volcanic soil. 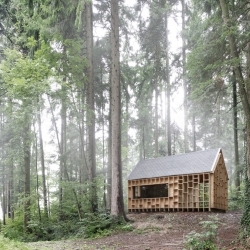 Called the House of the Forest Owls, this unique cabin in Wolfurt, Austria features many ledges inviting such woodland creatures to make themselves at home. 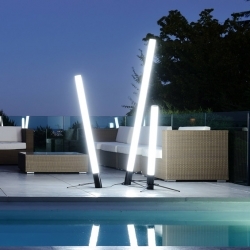 'Oblik' lamps by French designer Christophe Mayer for Digiplay Studio. 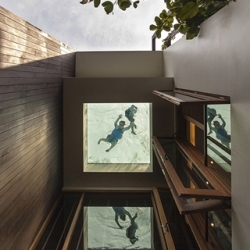 A glance upward from the ground floor reveals a window to the bottom of the rooftop swimming pool at Aamer Architect's Adrian's Garden Villa. 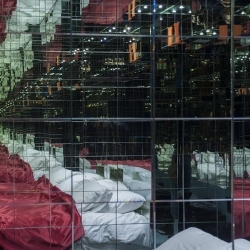 The Kiss Room by Mathias Kiss- A bedroom with 1000 mirrors for only 1000 nights. 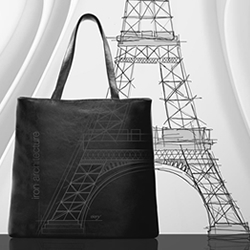 Metamorphosis project by Eleny Neculai, each section of the Eiffel Tower processed individually to form a geometric pattern on five different bags and accessories. 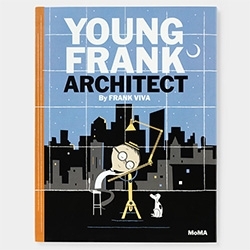 Young Frank, Architect. by Frank Viva. A MoMA Picture Book. 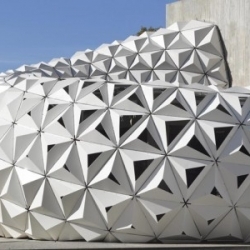 ArboSkin by ITKE University of Stuttgart. 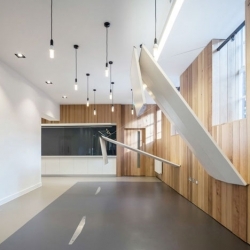 Clever tables at the headquarters of the West Midlands branch of Arts Council England by Moxton Architects. 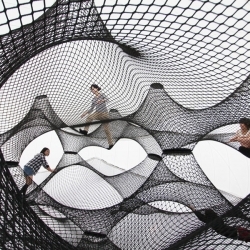 Net Blow up is a new project by Numen/ForUse. The object is inflated till the outer surface reaches adequate tension for stretching the nets connected on the inner side of the object. 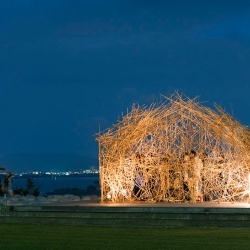 This construction excludes any use of additional structure. 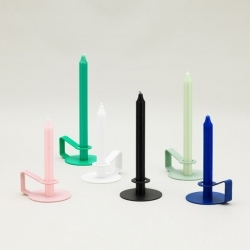 'Nocto' candlestick by Swedish designer Pontus Ny for Normann Copenhagen. 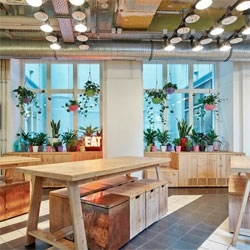 The stylish Generator Berlin Mitte hostel by Ester Bruzkus with Anwar Mekhayech and Mark Asipowicz. 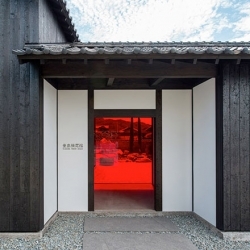 The Teshima Yokoo House, a renovated house turned museum. 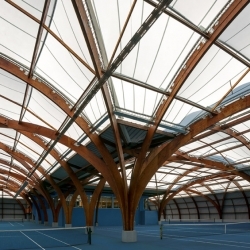 'Tennis Club' by French studio Spoutnik Architecture in A Bourg-la-Reine, France. 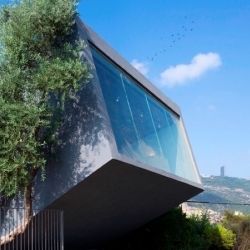 The Nesher Memorial auditorium and gallery in Nesher, Israel by SO Architecture. 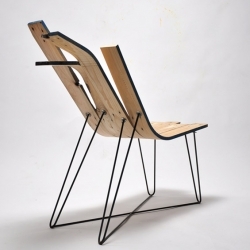 "Soft Wood" chairs collection by French designer Jules Levasseur. 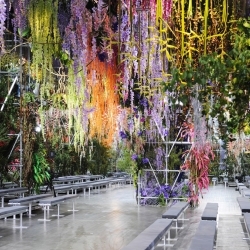 Dior showcased their Spring/Summer 2014 collection under the hand woven canopy of a blossoming floral wonderland. 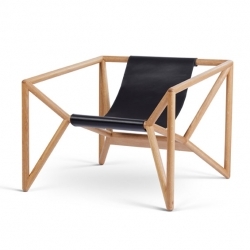 'M3' furniture collection by Austrian designer Thomas Feichtner for Neue Wiener Werkstätte. 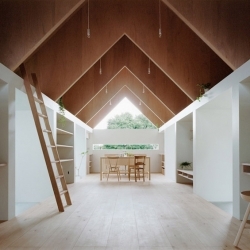 'Koya No Sumika' house by Japanese architects mA-style, in Yaizu, Japan. 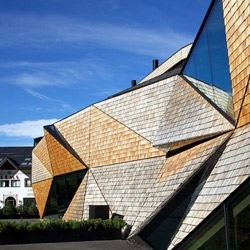 The new headquarters of wood sculpture company Perathoner, in the heart of the Dolomites of Val Gardena, is complete. 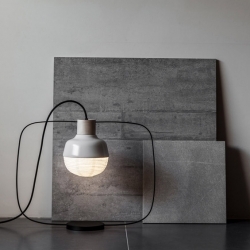 'The Old New Lamp' by Taiwanese studio Kimu Design. 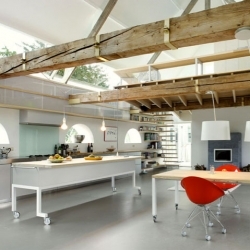 House G, a barn conversion by Maxwan Architects in Geldermalsen, The Netherlands. 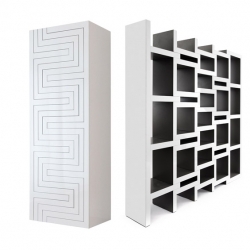 'Rek' modular bookshelves by Dutch designer Reiner de Jong. 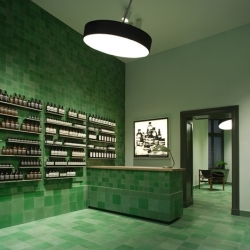 Design studio Weiss-Heiten used emerald-coloured tiles to cover the walls, floors and surfaces of the new Berlin store for skincare brand Aesop (+ slideshow). 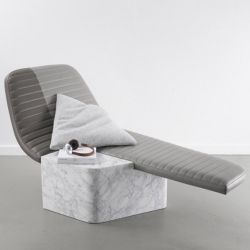 'Lounge chair Opper' by French architect and designer Grégoire de Lafforest for the Galerie Gosserez. 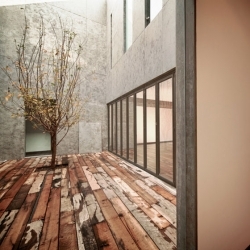 Casa Cumbres in Mexico City by Taller Hector Barroso. 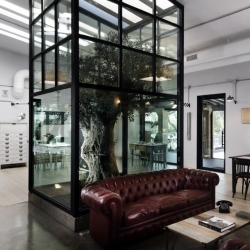 'Kook' restaurant by Noses Architects in Roma, Italy.